We had a great month in Jackson Lodge. The house is convenient being in town, and we walked everywhere. There are so many great restaurants to enjoy in JH. Jackson Lodge is very comfortable and roomy. We appreciated the comfy beds and pillows. 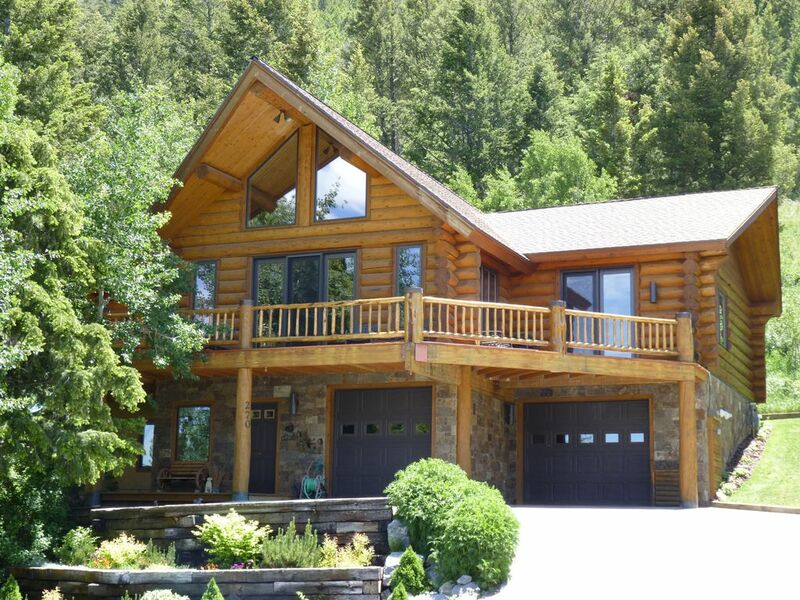 Everything about the house is perfect, and we will miss Jackson Hole! This was the second time we had stayed in this home and hope to come back again someday. The house is perfect for almost anyone! We loved seeing Jackson, the Tetons and Yellowstone through the eyes of our adult kids this trip. The owners are super attentive and responsive. I'm not sure there's another house in Jackson that can beat the ambiance and view of the Tetons. Great deck to sit and drink your coffee on in the mornings or to have a cocktail on in the evenings after a day of hiking or touring. We are all counting the days until we can go back to this lovely house! Cory...The moment we pulled up the drive and walked through the front door we were blown away! The photos online in no way do justice to the sumptuous yet inviting atmosphere. You really have a gift for combining style with comfort. Your personal touches and attention to detail are superb. Everything–from the first turn into the driveway to the reluctant last turn out– far exceeded our expectations! You have managed to create the perfect mountain retreat. We cannot wait to come back! Thank you! Having just spent a magnificent holiday at this property, I am thrilled to say that this was a gem in Jackson and it made our vacation superb. I rarely get to see such an impeccably maintained home, let alone a rental property that is available to a non-owner. We are a very critical group and picky folks so I was ready to list things that could/should be improved upon and instead we were in awe at everything from the incredible beds and crisp sheets, fluffy towels, spotless kitchen, bathroom, bedrooms, carpet, appliances, dishes, etc. I mean, everything felt new and was top of the line. There was no cost savings anywhere to be seen in this home- even the washer and dryer were of the highest quality. The decorating was absolutely amazing and felt like being in the most distinguished lodge with the various animal artwork and leather/wood comfortable furniture and antler lamps and rustic touches and yet light and airy and spotless. It was cozy while still being bright. Windows let in sunlight all day and at night we were able to watch the night sky. It was hard to leave this home for our various excursions and were always very eager to get back. The hosts are very courteous, accommodating and organized to make life as welcoming for their guests as possible. I can't say enough about how lovely this home was and the end result being a very memorable family holiday we will never forget. Plus, I want to go back. Now that I have this resource where I know the caliber of the accommodations, I have confidence in journeying back knowing how enjoyable and relaxing my stay will be. Anyway- I highly recommend it. I appreciate the effort put into making this property so comfortable for us. I'm recommending to anyone who truly appreciates superb lodging. Thanks Helen! We're looking forward to having you and your family back in the near future. This is the best value in the Jackson Hole area. Beautiful home with incredible space and views. and this offering is our favorite!